The list of requirements for the 2018 edition of the Concours de Machines is long. It's not just about the bike, also the equipment and gear to get through the two-day event is evaluated. 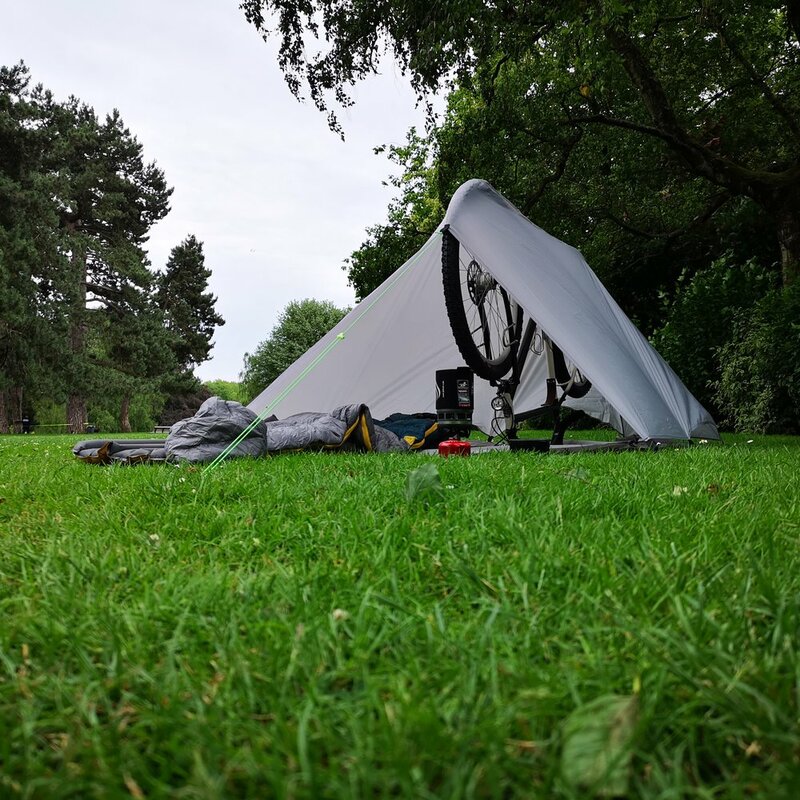 The theme of this year's edition is "B./Roads/" (Bicyclette Baroudeuse d'aventure et de Bivouac Tout Terrain) or as we call it nowadays: Bikepacking. So here is the LaFraise Cycles interpretation, I'd call it "Randonneuse Tout Terrain". 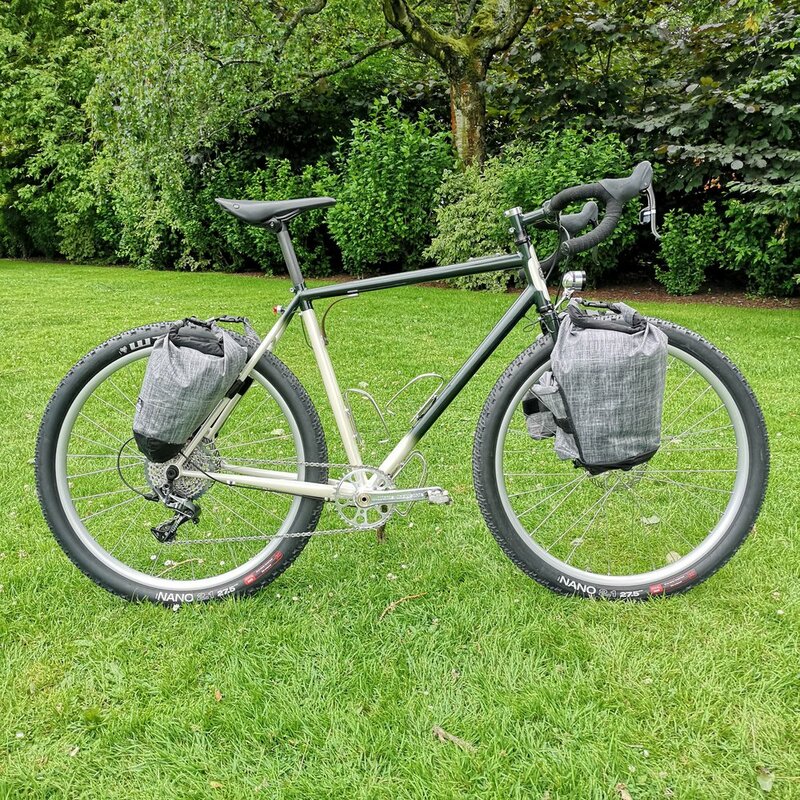 I wanted to create a bike that stays true to the classique design of former Concours, equipped to take on even rocky single trails, and go on for days in autonomy. 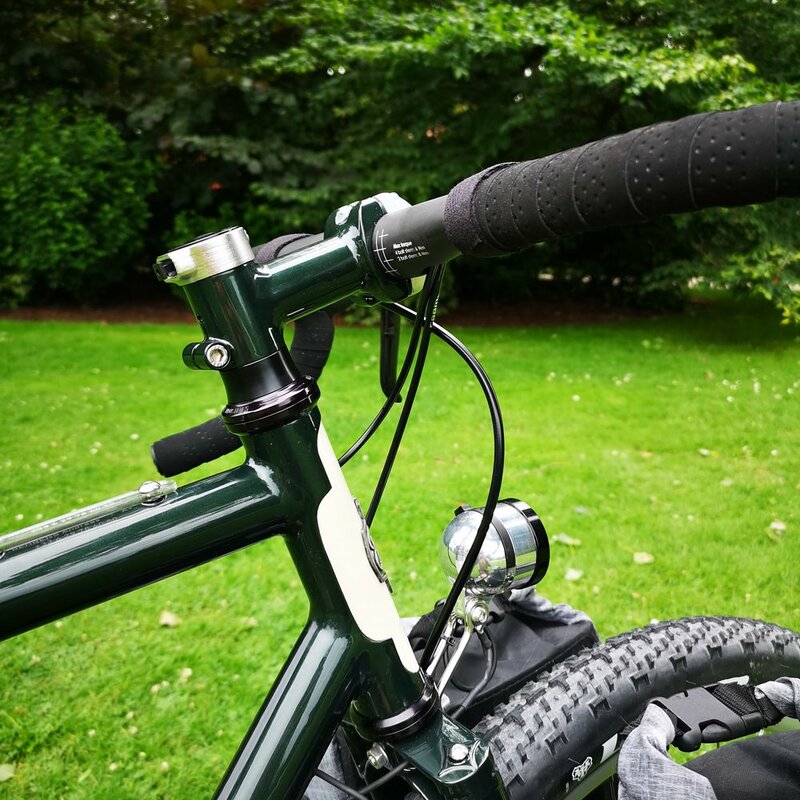 The frame is made from robust but light Columbus Max tubes for the front triangle (if it was good enough for Eddy Merckx to go across the cobbles of Paris Roubaix it should be strong enough for any type of adventure) and Columbus Zona tubes for the rear triangle. For the fork I used Reynolds 631 blades made for disc brakes. 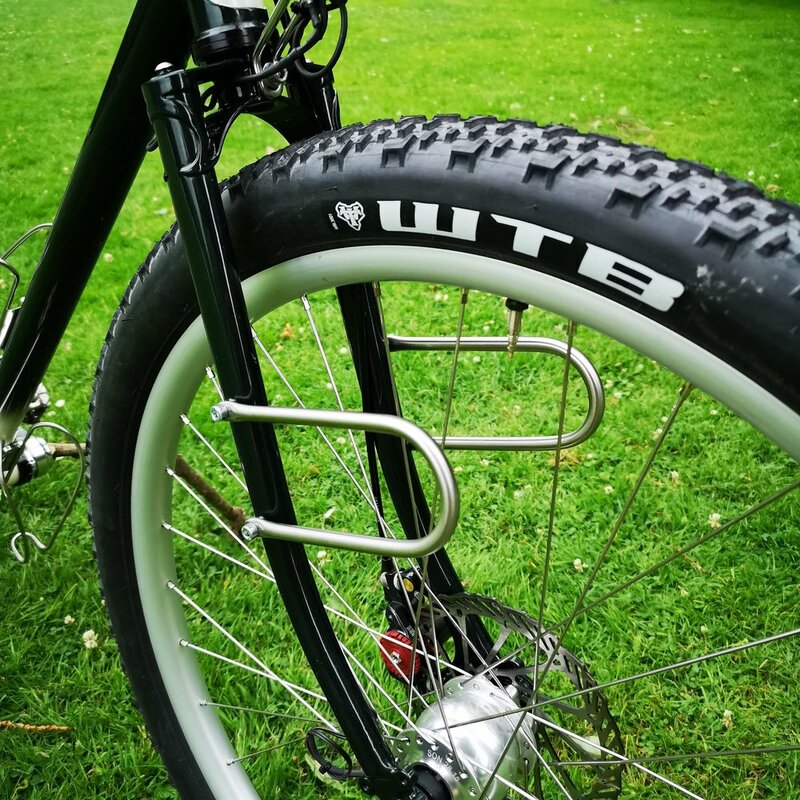 Head tube and seat tubes are bilaminated, seat tube for reenforcement, head tube more fore esthetics. 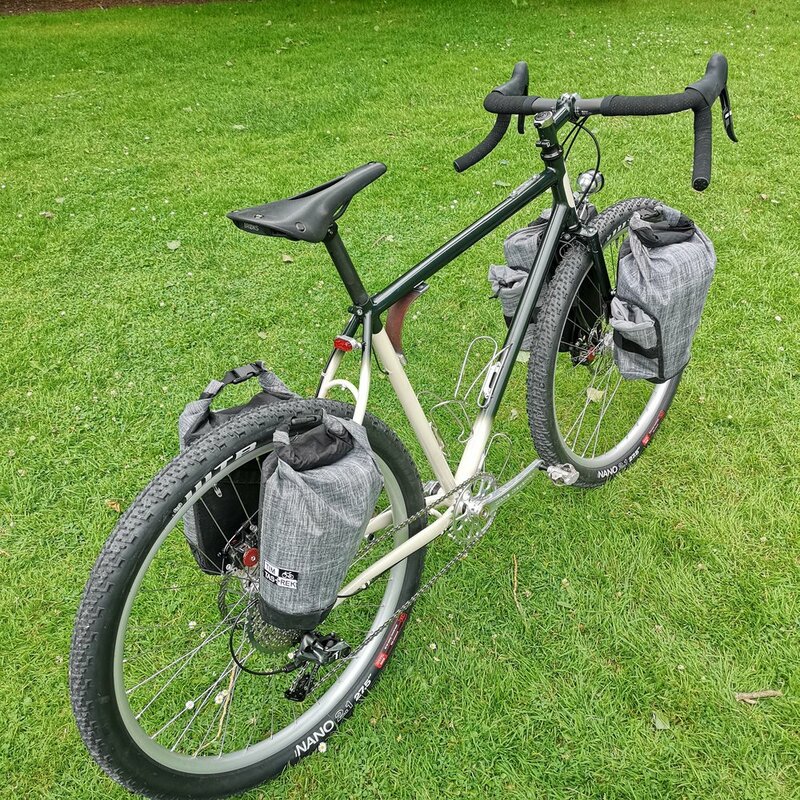 Apart from the visible choices for wheels, tires, transmission and components, the innovations focus primarily on the bike packing aspects: very light front and rear racks and firmly sitting panniers (they don't move a bit) both made by TIM TAS & REK, a charger that serves at the same time as a power bank, a full size tent that keeps rider and bike dry. 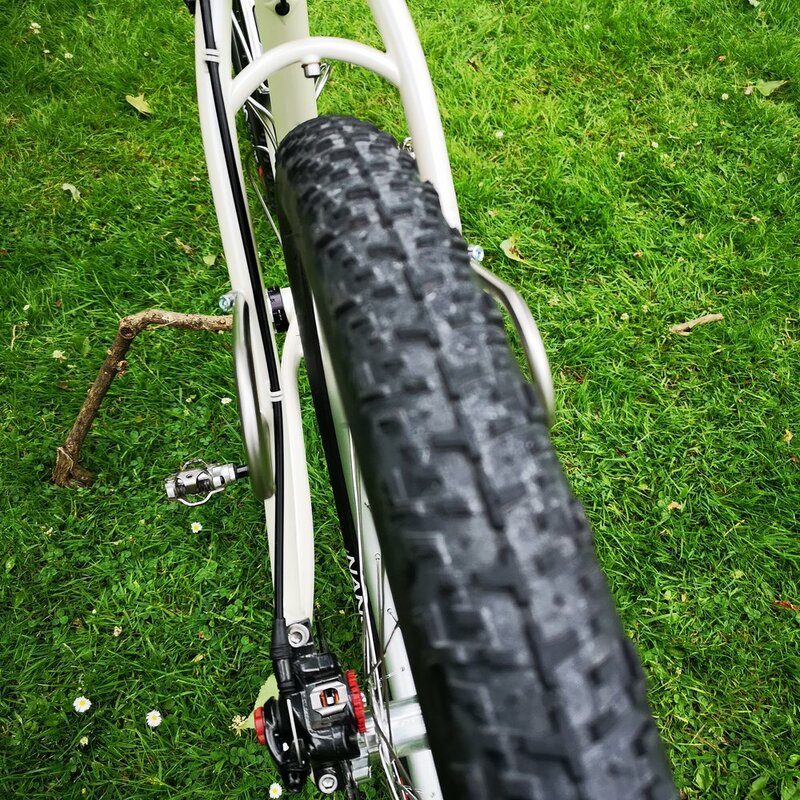 Tires: There is room for 2" tires + fenders, max 27.5x2.3"
The bike was very well perceived by the public and the judges and was the winning bike of the Concours de Machines overall as well as the public vote.